How much do you really appreciate Salsa? Today’s post is simple and is meant to encourage you to think a bit deeper about how much you really appreciate Salsa. Imagine this scenario – You really love Salsa! You attend all the classes and socials! You buy dance shoes and all your clothes are dance ready! You practice all the turn patterns and shines whenever you can and you socially dance this dance every chance you can get. That’s great and I am real happy for you. How many Salsa Musicians do you know? How many Salsa Albums and songs have you actually paid for? How many Salsa DJs names do you know? What constantly surprises me is how little people actually know about Salsa music. Now don’t get me wrong, I dont think you need to study Salsa music to the hundredth degree and know how every song is structured and every instrument is played. I do however think you should at least know a few of the artists that make the music and the DJ’s that play it. Scenario 1 – You have a venue, a group of social dancers and its amazing. Scenario 2 – The same venue, the same dancers, but you are just not feeling it that night. What changed? It could be lots of things, but next time this happens I urge you to pay attention to the DJ. 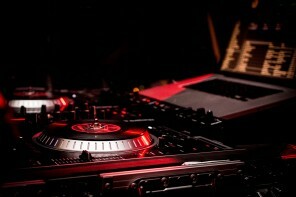 You would be surprised how a DJ is able to make or break an event. As a result, I think if you really want to appreciate Salsa, then you owe it to yourself to know and appreciate the Music. First: Learn about some of the bands and the artists. Figure out what kind of Salsa you like and how it makes you feel when you listen to it. I mean you have 3 pairs of dance shoes, the least you can do is have 3 salsa albums in your collection that you bought and paid for. 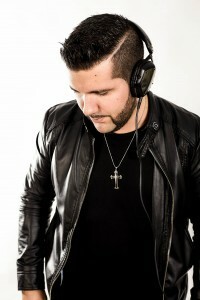 Second: Learn about some of the DJ’s. Many people don’t realise and actually simply take for granted how important DJs are to a night of Great Social dancing. Great music that flows is an Art-form that should be appreciated. You should know that becoming a good DJ is an investment. It takes a lot of time & money to buy the music, listen to it and then get to a point of competence where you can put together and create sets of music that get people dancing all night long. When you get home that night, head over to iTunes and buy the song or even better still, the album. Show some love for all the Musicians and DJs all over the world who set the trends by getting you onto that dance floor with their sizzling hot beats. Till next week, a Big Thank you to the Artists for making the Music and a Big thank you to all the DJs for playing our songs! I think that is feasible now that dancing venues and DJs have Facebook pages and post their events. You are right Martiza, very feasible in the day of Google. I’m rather on the extreme end of the music-obsessed spectrum so I totally agree that getting to know the music and the DJs better will ultimately improve one’s salsa experience. Nice article. What is Salsa without the Music right? Thanks for the comment Michelle. I find it a complete mine field when looking for salsa music online. Check out Amazon Digital, cdbay and descarga to look for Salsa Music. As for the different types of genres, I will try and find you a place that explains it well. It is not a rhythm despite what some might say. To get an understanding of what salsa is, it is evident that, at least for the instructors, directors, etc. we need to understand what was happening before “FANIA” records. Those guys catapulted Cuban music to another level but somewhere along the lines the word “salsa” became misused, misinterpreted, and vaguely understood to the later generations. Now, we have people using the word left and right without understanding what its original meaning was because now, in 2015, it has a completely new meaning that does misinform new dancers and probably instructors too. For instructors/ directors to really appreciate “salsa,” they should know what it represents and where the original concept of it comes from. By not understanding this, they are doing no good to the dance community. It’s misinformation. Yes, I know for some people they just want to dance but this particular article speaks to people that appreciate the dance and the music. So they take it a step further. 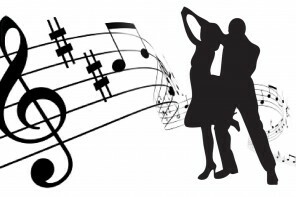 Understanding the music, the song structure, learning of different artists outside of what your dance instructor plays and even what event DJs play. ( Have you ever got tired of hearing the same songs over the years?) I’m talking about artists from Europe, Cuba, Colombia, Venezuela and even America and Canada. 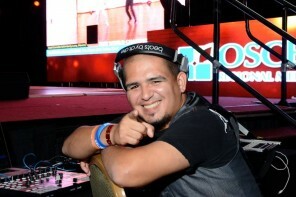 Learning about salsa DJs isn’t really going to help anything except knowing what they like to play. An instructor that shows interest and that can truthfully speak on the music will hopefully rub off on the student. Don’t let the influence of music appreciation come directly from the DJ. Although I will say the DJ’s role is important but that’s another topic. I do think that this article points to some important questions regarding “salsa” and what it represents. However, appreciating the music should involve understanding the different genres it represents, origins, song structure, etc. 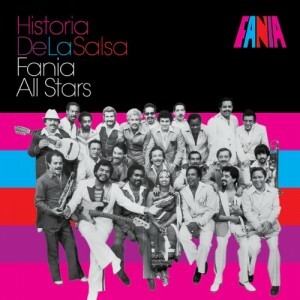 So appreciating it has a lot to do with learning its history before Fania, during Fania, and after both inside America and outside because once you do your homework you might have a whole new perspective. I love salsa, from it’s core, roots. Everytime I go for clubs or Congress around the world I thank the djs personally. Yet, in my area, the mainstream music is Latin pop on salsa clubs. Like Shakira and mark Anthony.